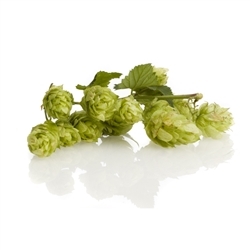 German hop Hersbrucker was originally bred with the intention of producing a variety resistant to verticillium wilt that could act as a replacement for Hallertau Mittelfrüh. Hersbrucker reached the height of it’s popularity in the 1970’s and 1980’s but despite that, Germany’s overall production of this hop today still exceeds 1000 metric tons each year. It can even be found organically grown on several boutique hop farms. With low alpha acids and low cohumulone, it exhibits a pleasant aroma with a balanced, fruity, spicy and floral character. It has commonly been used in German lagers, however this variety is now making its way into some fine English cask ales. It has been cloned several times in an attempt to improve its alpha acid content, but without success.